Are you craving a place for calm and peaceful relaxation? You’ve found it with Zen Awakening’s Tranquility chair. 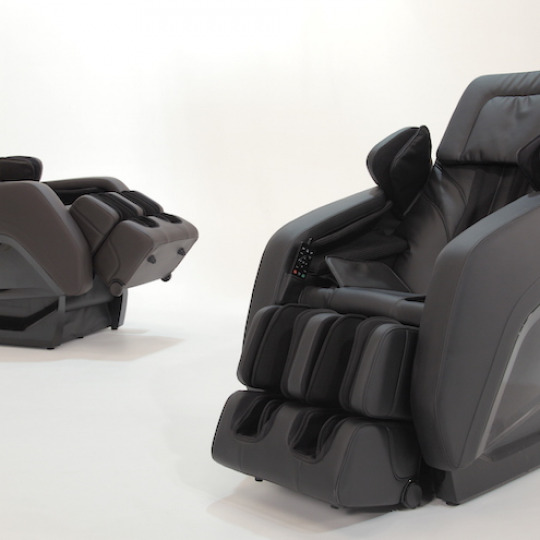 This chair features MassageWave technology to provide an exclusive full body massage. The back mechanism travels vertically and horizontally, as well as extending outward to enhance the massage experience. This extension immerses you into Tranquility as it works out the tension. As its name suggests, Zen Awakening’s Tranquility massage chair will seamlessly transport you to a soothing place of peaceful healing. With five relaxing back massage techniques, Tranquility’s expansive lumbar range releases your spine from pain and tightness. Beginning with your arms and continuing to your fingertips, Tranquility’s air pressure massage, ReCirculate, produces a wonderful calming effect as it improves blood circulation, carpel tunnel and arthritis. Tranquility’s YogaFlex takes the pressure off your vertebrae and calms your sore muscles by stretching your back to decompress your spine. For your waist, thighs, and glutes, Tranquility’s HipShape provides you with an ultra-relaxing compression massage. Moving down your legs and to your feet, CalfMassage encourages muscle recovery and blood circulation while FootReflex delivers an unmatched roller-massage to your body’s nerve endings. No matter your size, ShapeDetect, maps your body to create a massage experience uniquely customized for you! Tranquility’s LegExtender feature provides optimum comfort for every height, extending up to seven and a half inches for a perfectly tailored massage. Any of Tranquility’s features are available with the touch of a button on the high-resolution video remote control, VideoMap, which is simple, intuitive, and easily customizable. Finally, Tranquility’s SpaceSaver technology allows you to put your new best friend anywhere in your home! Only needing a few inches of clearance from any wall, Tranquility will slide forward before reclining, saving you room! Making therapeutic massage chairs since 1999, all of Zen Awakening’s products are backed with a limited lifetime guarantee. So, what are you waiting for, take yourself to a place of Tranquility today.